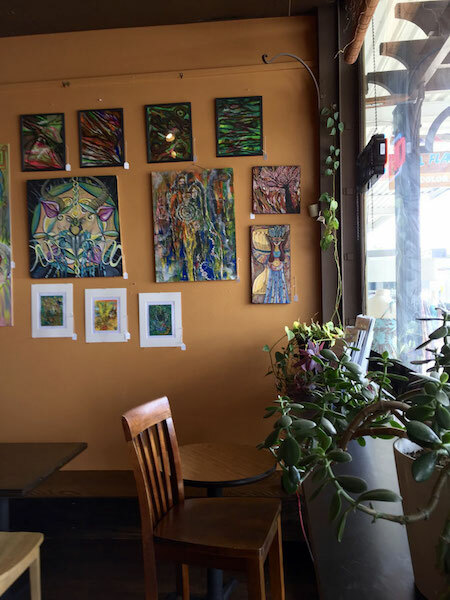 In the funky alternative Hollywood neighborhood of northeast Portland lies a hidden gem and a super chill cafe I love called Nectar. This article brought to you by Nectar Cafe who provided complimentary food. Affiliate links included. See disclosure for more. 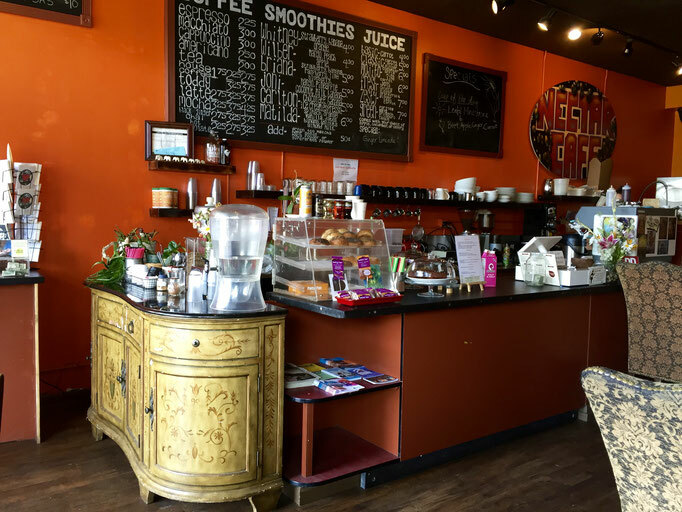 Serving up super delicious vegan breakfast and lunch eats, along with their own house-roasted coffee, fresh juices and smoothies, Nectar has a really warm, inviting and casual vibe. The walls are painted bright cheery colors and adorned with tons of local art, there are comfy chairs, live plants, and they're always sporting some cool tunes. All recipes are made vegan. 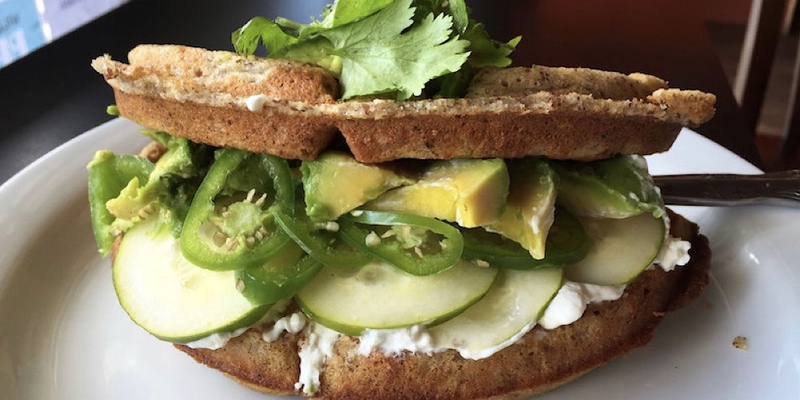 They have goodies like tofu scrambles, bagel sandwiches, waffle sandwiches, meatball and pork sandwiches, wraps, bowls, salads, soups, chilis, and even an assortment of treats like cookies and brownies as well. And everything is amazing. Including their own vegan cream cheese that they make in house, in several different flavors like regular, jalapeño, roasted red pepper, and maple! 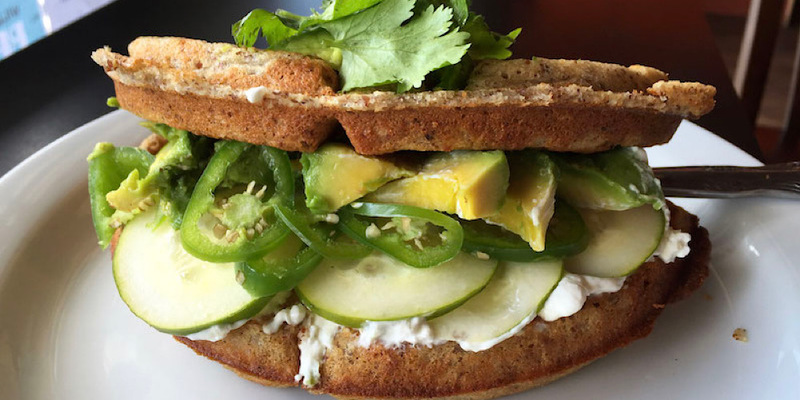 I'm a huge fan of well-executed vegan cream cheese and they've definitely perfected it. My absolute favorite thing on their menu is the jalapeño waffle! Bizarre? Maybe. Delicious? Absolutely. It's a flavor explosion in your mouth. 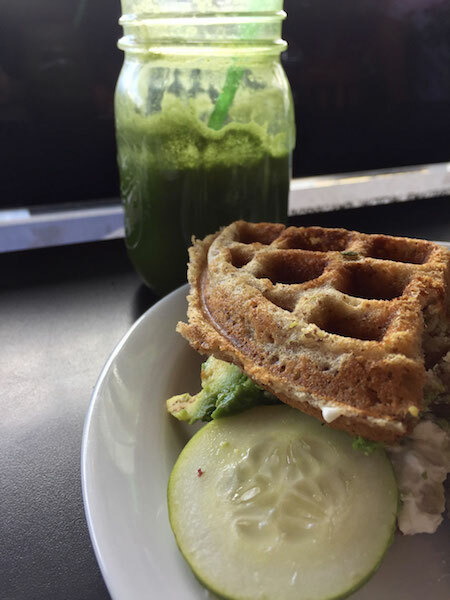 A giant freshly made gluten-free waffle made with organic almond meal, folded in half and stuffed with slices of fresh cucumber, avocado, jalapeños, and slathered in their jalapeño cream cheese with cilantro on top! It's cool and hot. Spicy and sweet. Go crazy and pour some maple syrup on top of the whole thing. They do some pretty interesting fresh juice combinations, too. 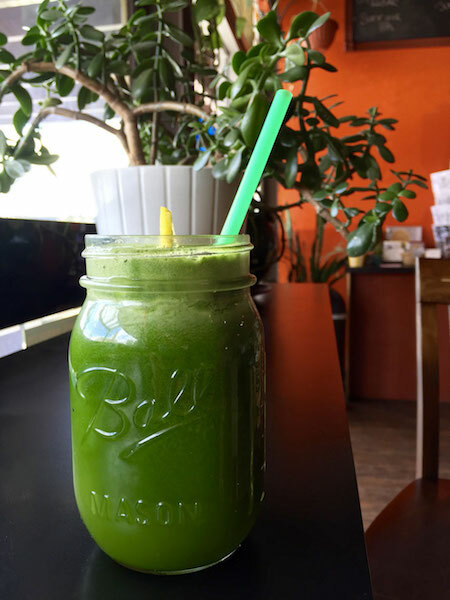 Best yet is the classic green juice, with a base of apple, cucumber, celery, and then parsley, kale, spinach, cilantro, lemon. It's zesty, spicy, and punchy. And so good for you! All those fresh phytonutrients! Mouth happy. Check. Body happy. Check. 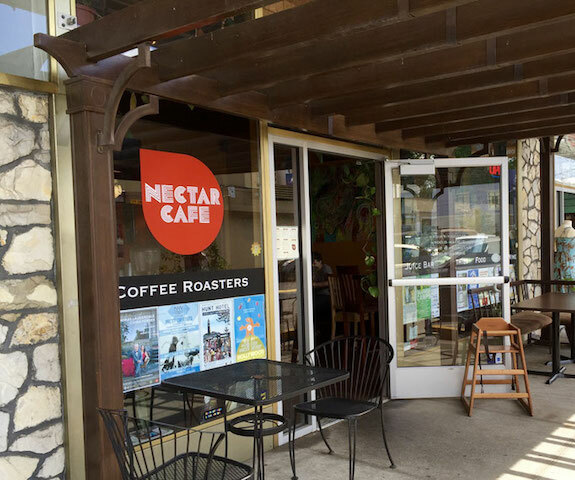 Stop in Nectar Cafe for a bite, a drink, and a bag of freshly roasted coffee beans at 1925 NE 42nd Ave in Portland, Oregon. Catch them Sundays at the Montavilla Farmers Market on SE Stark. Need catering? Call them! They're mobile!